If you want to bring back natural look of your teeth,without takeing classical impression,if you want long-lassting and fully biocompatible material and you want to finish you rastoration in just one wisti, CEREC is solution for You. 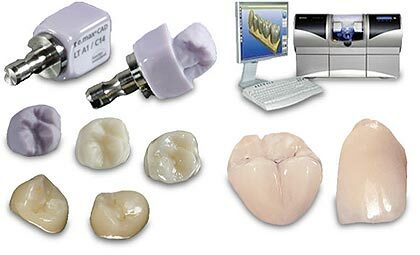 CEREC is computerised CAD/CAM sistem for production of whole caramic filings,crowns and bridges. Over 8 milion patients all over the World have CEREC restoratons. Long-term clinical studies demonstrate that in terms of durability CEREC restoration are laest equivalent to gold restorations. With minimal drilling the front surface of teeth Cerek (CAD CAM system) makes ceramic vinires (minced) 1 mm thick in the desired color and shape, attached on the same day and provides an ideal esthetic result. Used with rotated teeth, Irregular teeth position and discoloured teeth. 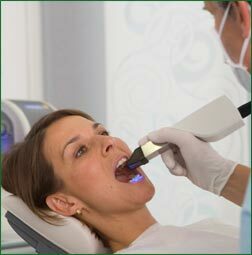 Where it is needed aesthetic improvements, vinirs are ideal. They do not contain a metal surface but from zirconium ceramic, which gives teeth natural look. Computer fillings made of all colors and shapes represent perfection in the restoration of all types of dental defects especially in changing the old dark amalgam or composite fillings. Your old amalgam filings can be changed with ceramic CEREC inlej (so called ceramic filing). And that is not all that CEREC can do. In only one wisti and without impression material You can get new smile. With CEREC technology, we can restore your tooth with a biocompatible material of superb characteristics in just one visit. If you have healthy teeth and healthy gums but you are not satisfied with their colour, there is safety way to make your teeth really white. If you are professional sprotsman or recreativly have sports activity, you can damage your teeth. This is very offten on upper front teeth, which have specific postion, one step ahead of the other teeth. If you don't live in Belgrade or if you just want second opinion, you can sand us your ortopantomography or retro alveolar X-ray with description of your problems on this website and we will send you more information as soon as possible. Specialised dental office Moraca © All rights reserved.